Fawley Power Station dominates the skyline from just about every angle. At 650 feet, the chimney is thought by many to be the highest point in Hampshire, but it is not. The highest point is Pilot Hill at 938 feet, to the far north of the county. 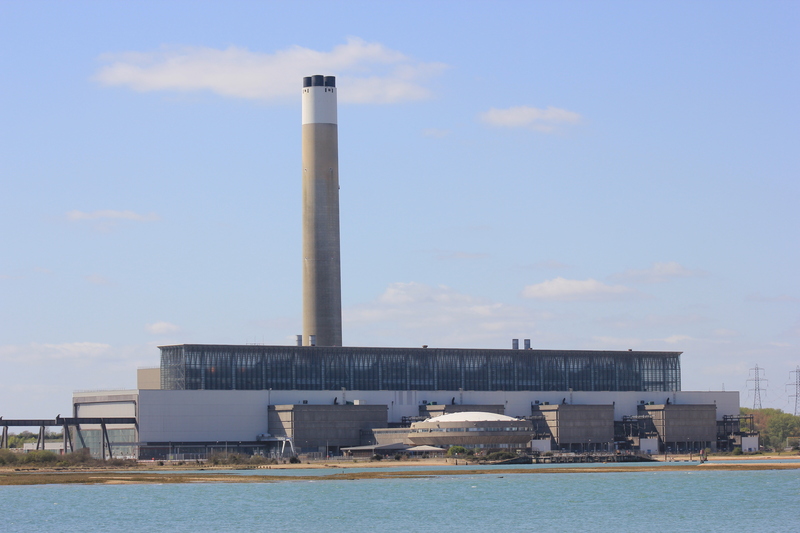 In all honesty it doesn’t really matter anyway, for Fawley Power Station was shut down in March 2013. The chimney may well not last much longer in any event. Once we had passed the power station we were able to see Calshot Spit, a small spit of land jutting out into Southampton Water. There is a lot of history at Calshot Spit. The foot of the spit is lined with beach huts, costing around £20,000 in 2013. The spit is only about 55 metres wide at its narrowest point. “Heavy Wash My Be Caused By Passing Ships”, proclaimed a sign as we arrived. Calshot Spit is steeped in history. Because it stands at the entrance to Southampton Water it has always been considered strategically important. At the head of the spit Henry VIII built Calshot Castle in 1540. It remained in use for over 400 years. It is not that surprising, therefore, that some red brick extensions were added at some stage. 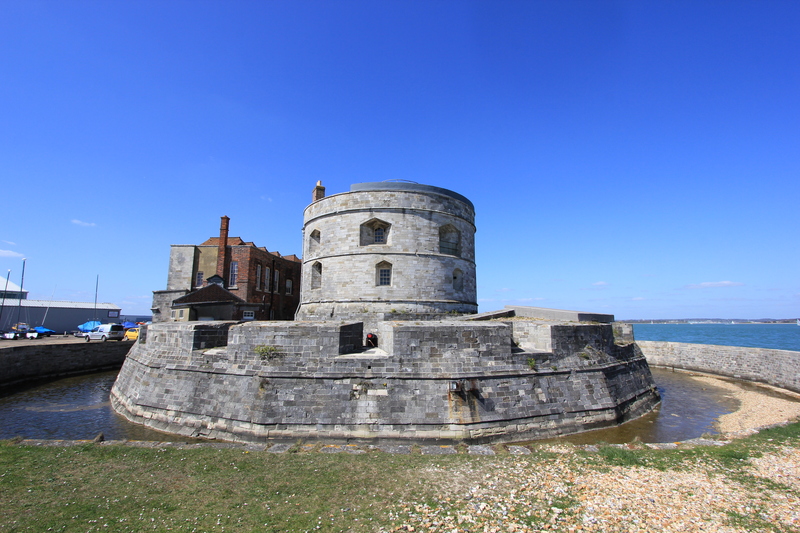 Whilst Calshot Castle guarded the entrance to Southampton Water, other military buildings eventually sprung up around it. 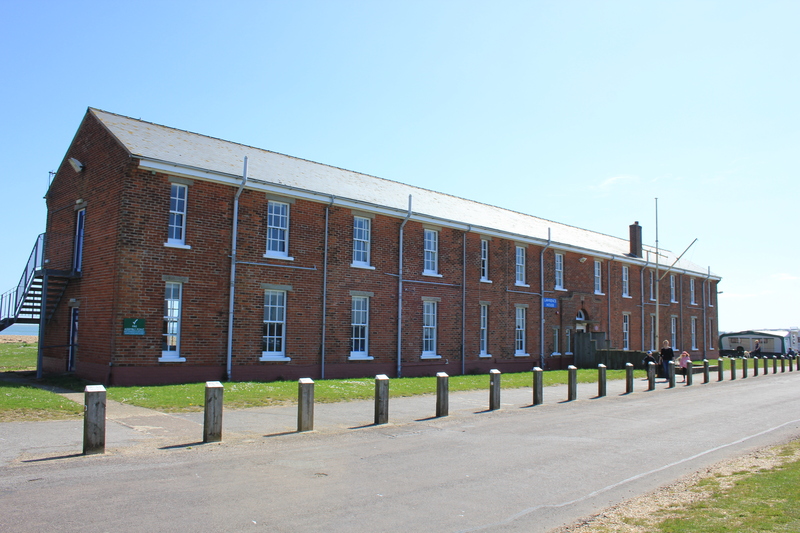 In 1913 the Royal Flying Corps established Calshot Naval Air Station and from here tested sea planes. In 1929 Aircraftman Shaw (better known as Lawrence of Arabia) was stationed here. They named a building after him, Lawrence House. The Schneider Air Speed Races were held here on three occasions, in 1927, 1929 and 1931. 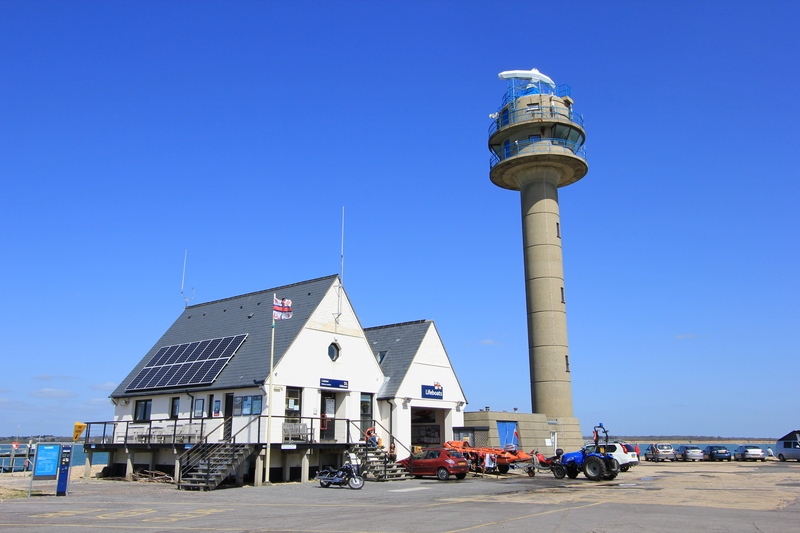 Calshot earned the right to host after Britain won the Schneider Trophy in the preceding year. In World War Two the base was used to maintain Sunderland flying boats. The various hangers are now used for recreational purposes and boast a climbing wall, snowboarding track and velodrome. Today an RNLI Lifeboat Station stands at the far end of the spit. There is a lot happening on this small spit of land. 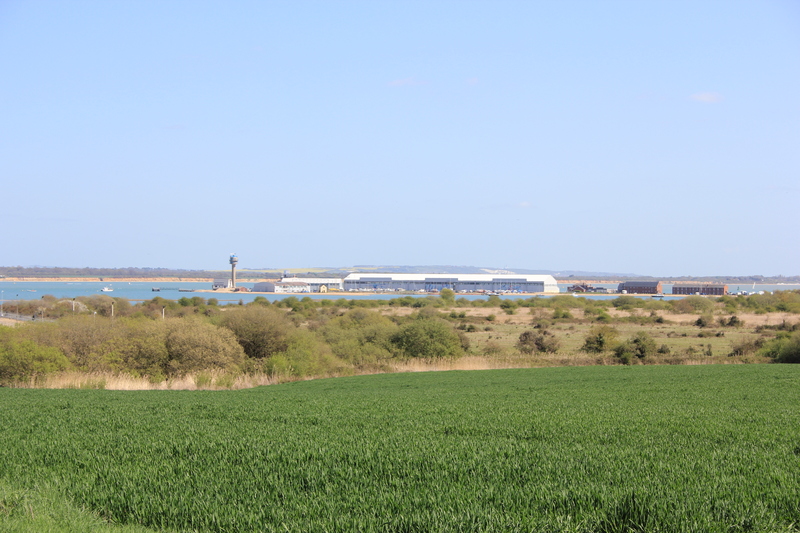 Yet all the while, even with all this hustle and bustle, you cannot help but gaze over to Fawley Power Station. 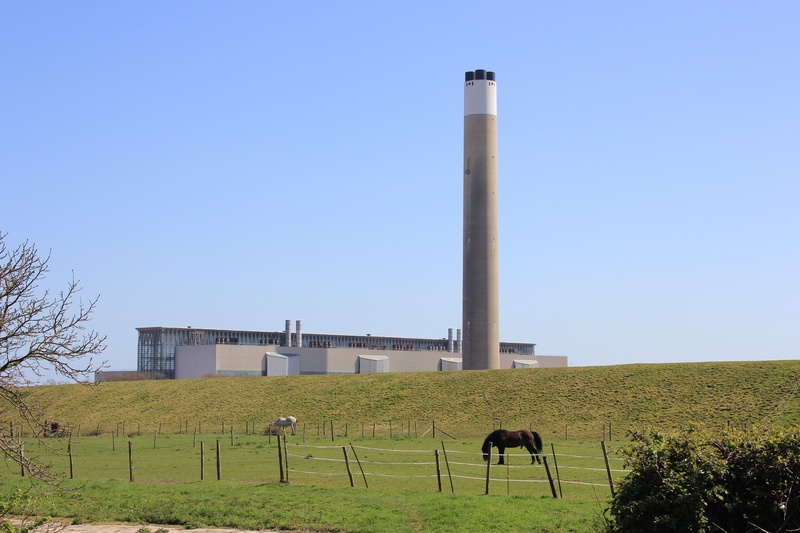 If they knock that chimney down I wonder if the people here will feel as if the landscape is missing something? 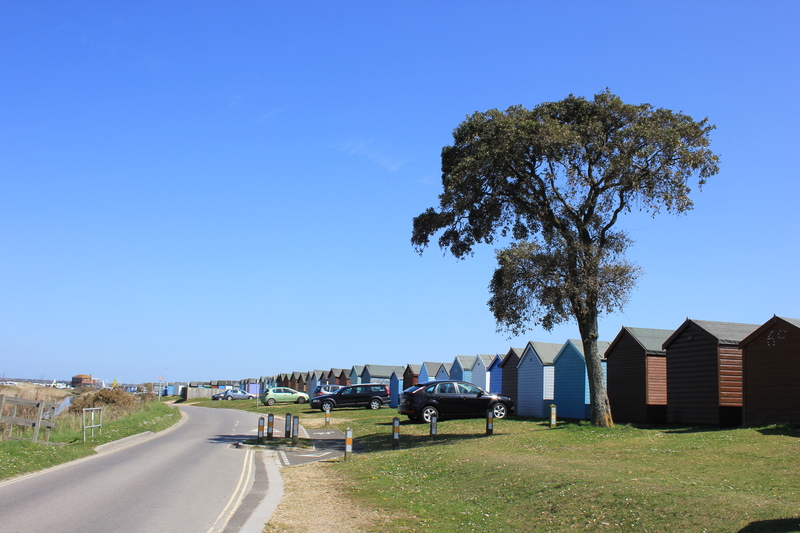 This entry was posted in Hampshire and tagged Calshot, Calshot Castle, coast, Fawley, Fawley Power Station, Hampshire, Lawrence of Arabia, Schneider Trophy, spit, travel, walking. Bookmark the permalink. Must be nice to finally see the sea again! Did you try walking along the beach to Lepe? I did and had to turn back as there is a barrier along the beach declaring it a nature reserve. Frustrating!